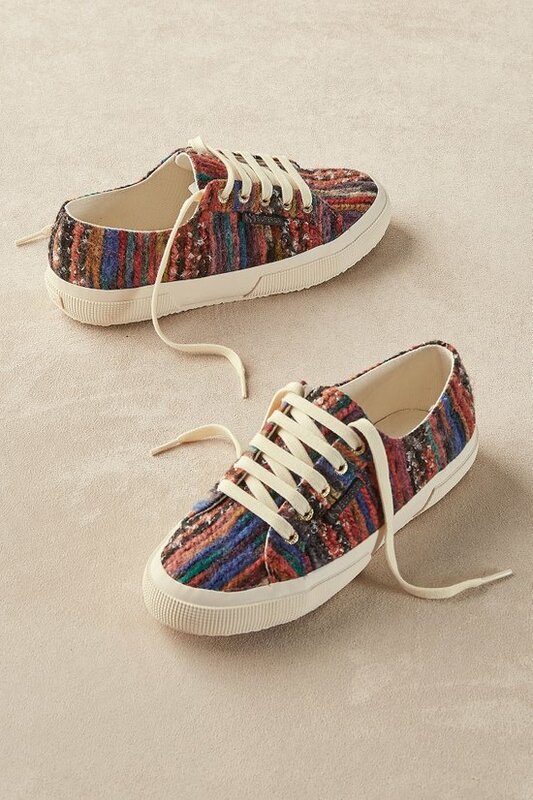 Stripes of nubby yarns or adorable, wooly fleece cover these streetwise sneakers by Italian designer Superga. Good to go with a breathable cotton lining and sporty rubber outsole. 1-1/4" heel.